Our host for this month's Bread Bakers is Shireen of Ruchik Randhap. Ruchik Randhap translates to Delicious Cooking. Shireen is a Mangalorean from Karnataka, India who is currently living in Dubai. Her blog is filled with delicious foods from the area where she was born and raised and is a delight. You really need to go check it out. As our theme, this month, Shireen chose Cacao, Cocoa or Carob in any form. Shireen preferred that we make a yeast bread but would accept quick bread entries. I was intrigued by the thought of a chocolate yeast bread because my first thoughts upon hearing the theme went directly to quick breads or muffins. 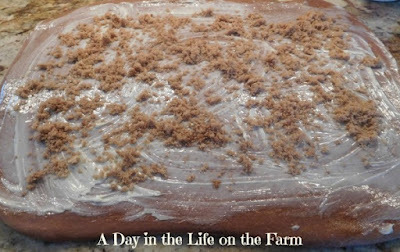 A google search came up with a delicious sounding German Chocolate Cinnamon Roll recipe from Fleischmann's Breadworld. I put together the dough and set it aside to rise for a couple of hours. Sprinkle it with Brown Sugar and Cinnamon. Roll it into a log and cut into 12 equal pieces. Place into two greased cake pans. Let grow again before baking. Allow to cool in the pan before removing to racks. 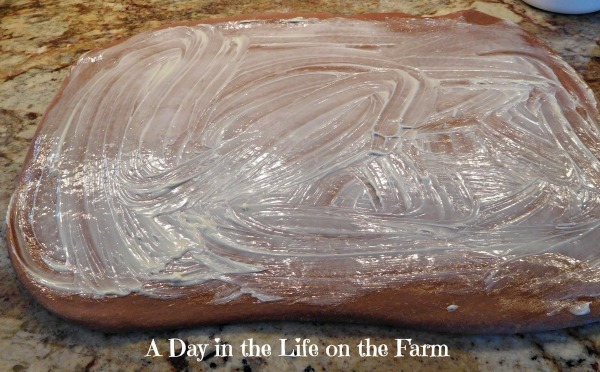 Place parchment under the racks before drizzling with the frosting. I made the frosting while the dough was in it's first rise. When I went to grab the coconut to toast I found my cupboard bare. So the German Chocolate Cinnamon Rolls became simply Chocolate Cinnamon Rolls. The icing is almost custard like and would have been perfect with the addition of nuts and coconut. Without those additions, I would have been better off with just a simple glaze. Place water in large bowl of stand mixer fitted with paddle attachment. Add the yeast and let set for 5 minutes. Heat the milk and 1/4 c of butter to 100-110*. Add to the yeast mixture along with 1 c. of the flour, the sugar, cocoa powder, salt, egg, yolk and vanilla. Beat for 2 minutes until very smooth. Switch to dough hook and add flour, half cup at a time, until the dough forms a soft ball. Knead on low speed for 8-10 minutes. Dough will be smooth and elastic. 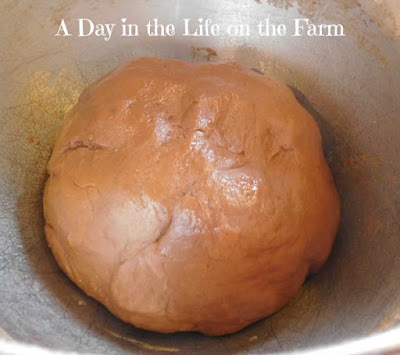 Place into a greased bowl and let rise in a warm spot for about 2 hrs, until dough is doubled. Punch dough down and place on a lightly floured surface. 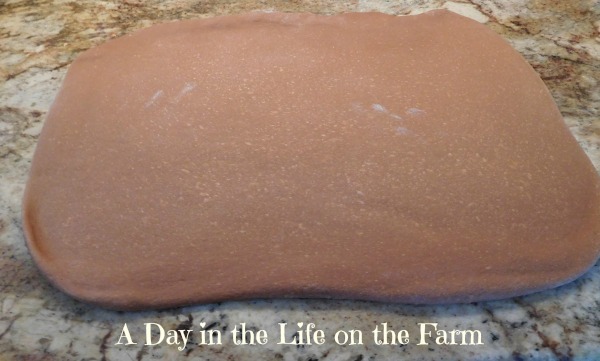 Roll dough into a 15x10" rectangle. Spread the remaining 1/4 c. butter over the dough and then combine the brown sugar and cinnamon and sprinkle over the buttered dough. Roll up from long sides, like a jelly roll and cut into 12 equal pieces. Place 6 pieces into each of two 8" cake pans that have been sprayed with cooking oil. Cover pans loosely with plastic wrap that has also been sprayed with cooking oil and allow to rise for an hour. Bake in a preheated 350* oven for 25-30 minutes or until lightly browned. Allow to cool in pans before removing to rack for frosting. 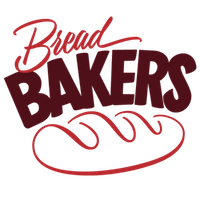 Breads with Cocoa, Cacao or Carob in any form #BreadBakers is a group of bread loving bakers who get together once a month to bake bread with a common ingredient or theme. Follow our Pinterest board right here. Links are also updated each month on this home page. While German Chocolate ones would have been nice, I like the simplicity of two main flavors - cinnamon and chocolate. Plus it's one of my favorite flavor combos. Thanks Renee, I just wish I would have used a different icing when I wasn't going German Chocolate. They turned out beautifully, Wendy. Coconut or no coconut. But I understand your disappointment. I did that just the other day, searching in my cupboard for bulgur wheat for a salad. Could have sworn I owned some. Cinnamon and chocolate go so great together! Chocolate and everything go great together LOL. 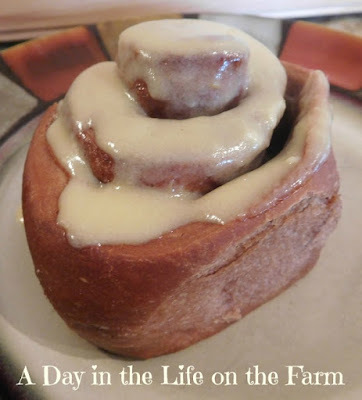 These cinnamon rolls look so lovely and inviting Wendy. It's a treat for the senses! Thanks so much for participating in this event! Thanks so much for hosting Shireen. What a neat idea! 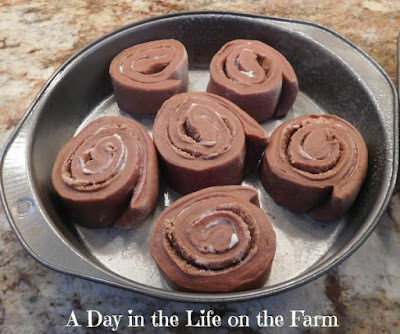 A real chocolate dough for cinnamon buns. It's a natural! Thank you Georgina. I wish you were here so we could share them over a cup of coffee. OMG those chocolate cinnamon rolls sound sooo amazing. Very tempting. Wow - your bread looks incredible! Even without the coconut and nuts, it sounds like a winner. Yes but it would have been much better with all the toppings Beth. Wendy, I too thought 'a yeast bread with chocolate' and I nearly made a quick bread. 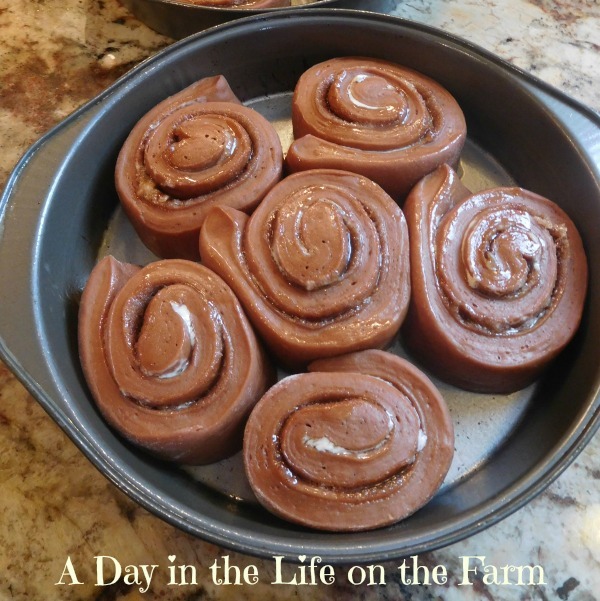 Chocolate and cinnamon buns look yummy, must be great with a cup of coffee. Yes or a big glass of milk. These look like a delight - coconut or not! I would like some with my coffee, Please! Irresistible Rolls, perfect with a cuppa. Can you make these the day before and put them in the fridge overnight? I would think that you could do the final rise in the refrigerator.